Safety Harbor Stunner! 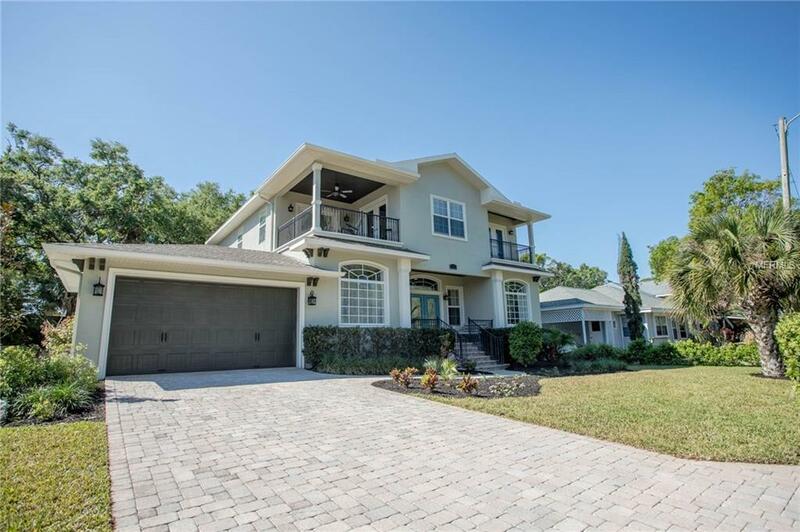 Built in 2007, this custom two-story home is situated in the heart of Safety Harbor, a short walk from the harbor/marina, Philippe Park & the historic downtown district. Gorgeous water views from the second story. Double glass doors welcome you to this exquisite home w/ all the bells & whistles of new construction without the wait including all hurricane impact windows & doors. French doors lead to the den/office w/ over sized windows & hardwood floors. Spacious living room is anchored by a gas fireplace w/ custom built-ins surrounding the showpiece. Chefs kitchen wows w/ rich wood cabinetry & bubble glass front doors, stone back splash, granite counter tops, breakfast bar, pendant lighting, wine refrigerator, French door refrigerator, oven, gas range, built-in microwave & dishwasher. Entertain in the lovely formal dining room accented w/ chair rail, crown molding & rich blue walls. Infinity sliders open the entire living area up to the covered lanai for indoor/outdoor entertaining. Master suite features crown molding, wainscoting, a reading nook $ a bath fit for a king and queen w/ his & her vanities, garden tub & shower enclosure. Pebble Tec swimming pool & spa surrounded w/ gorgeous pavers, lush landscaping & complete w/ a salt system. Two-car over-sized garage offers plenty of room for parking & storage. 2 new A/C system installed within the last 30 days. Option for 4th bedroom. Flood insurance is less than $380 annually. Dont hesitate, call today for your private viewing. Listing provided courtesy of Re/Max By The Bay.